The vendors and agencies we include in our list below are the top Magento experts working in Holborn. They strive and grow every day to bring good products and services to merchants which use Magento as an e-Commerce platform for their online stores all around the world. Magento experts work to design, develop, support and perfect Magento-based sites. Millions of issues are being solved everyday thanks to these enthusiasts. All the vendors in Holborn have been working with many companies and organizations including from small/medium-sized firms to big businesses. Products are developed based on merchant’s needs and requirements with the best services regardless of your company size. Products and services offered by agencies in Holborn below can be varied in pricing, depending on the what services, versions, editions and your requirements are. Normally, prices are reasonable and flexible for you to choose. 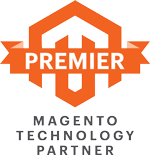 Temando is a leading partner of Magento on Shipping and Fulfillment. It is a multi-carrier delivery platform in conjunction with the Magento store to provide access to global service provider networks. This helps merchants save maximum shipping costs and reduce operational costs. Besides, it helps increase AOV and increase conversion rate significantly. Temando is an essential solution for merchants to overcome the challenges of shipping in the trade. Address: 100 Skyring Terrace, Brisbane, Queensland 4006, Australia. Address: Level 4, 140 William St, Woolloomooloo, New South Wales 2011, Australia. Address: 550 Montgomery St, Suite 750, San Francisco, California 94111, United States. Address: 1 Waterhouse Square 138-142 Holborn Bars, Holborn, EC1 N2SP, United Kingdom. Address: Bâtiment Résonance 42-46 Avenue Aristide Briand, Bagneux, Paris 92220, France.